This chapter will examine issues of elitism within nursing, attempt to explain certain elitist phenomena that have developed in nursing over the past 30 years and review possible connections between elitism and technology The chapter will explore the topic only in relation to nursing in the United Kingdom, thus acknowledging the importance of certain historical traditions that permeate and layer nursing culture here but may not be relevant elsewhere. This is an exploratory, even somewhat tentative, chapter because there has been a very real absence of this topic in the nursing literature. 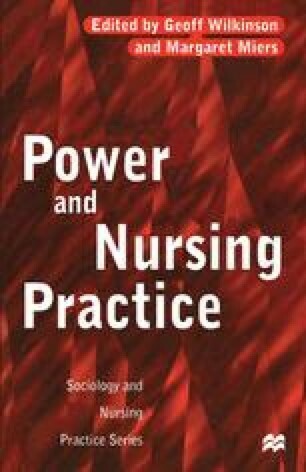 Hence the chapter is reflective in nature and draws on personal nursing experience as well as social theories and theorists in order to illustrate certain aspects of the very complex subject of nursing.